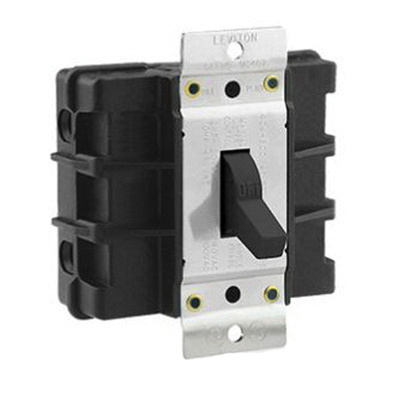 Leviton 1-Phase 2-Pole Toggle AC motor starting switch in black color, is rated at 600-Volts and 60-Amps. Switch features thermoplastic polyester base and thermoplastic polyester toggle. It has a dimension of 3.75-Inch x 3.43-Inch x 1.71-Inch. Non-grounding switch has maximum load capacity of 10 hp at 240-Volts, 15 hp at 480-Volts and 20 hp at 600-Volts. With back wired terminal connection, this switch accommodates terminal of size #10 - #4-AWG. t withstands dielectric strength of 2200-Volts. It features 0.046-Inch thick silver-cadmium oxide contact for maximum conductivity, zinc-plated steel, triple combination terminal and nickel-plated brass strap. Switch has nickel-plated brass mounting yoke that provides superior corrosion protection. The insulating barrier between terminals offers isolation from each phase. Industrial-grade switch operates at temperature range of -40 to 60 deg C. It has V-0 per UL94 flammability rated to withstand harsh environmental conditions. 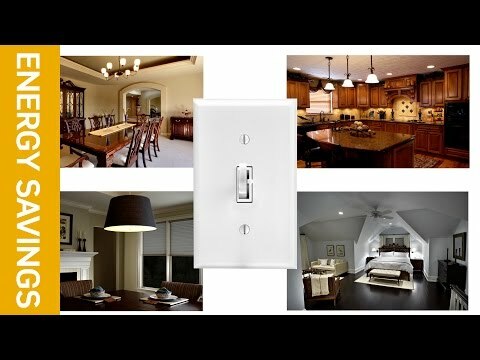 Switch is UL/cUL listed, CSA certified and meets NEMA/ANSI/NOM-ANCE standards.